Las Vegas, Nev., April 5, 2016 – Measuring and Managing Information Risk: A FAIR Approach, co-authored by Dr. Jack Freund and Jack Jones, today announced it was inducted into the 2016 Cybersecurity Canon, recognizing authors and works of literature that accurately depict the history, milestones, and culture of the modern cybersecurity industry. (L-R): Rick Howard, CSO, Palo Alto Networks, congratulates Jack Freund and Jack Jones, co-authors of Measuring and Managing Information Risk: A FAIR Approach. 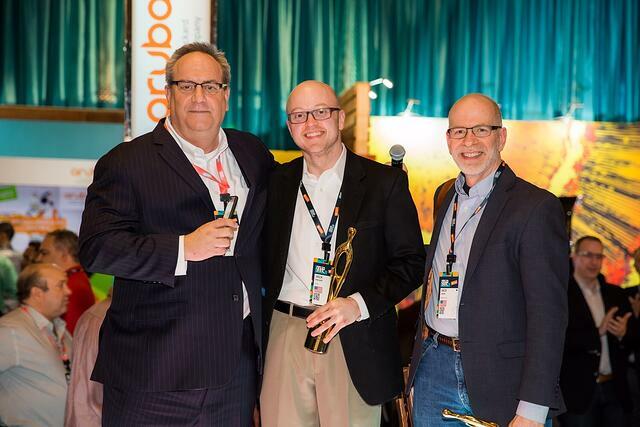 Winning authors and books were honored during the opening reception of Ignite 2016, the Palo Alto Networks annual user conference where thousands of next-generation security professionals learn how a breach prevention-minded approach to cybersecurity is changing the industry. 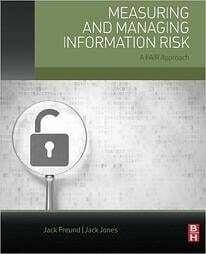 Widely considered the information risk manager’s bible, Measuring and Managing Information Risk uses the factor analysis of information risk (FAIR) methodology developed over ten years by Jack Jones, and adopted by corporations worldwide. The book provides a proven and credible framework for understanding, measuring, and analyzing information risk of any size or complexity, and is intended for organizations that need to either build a risk management program from the ground up or strengthen an existing one. The book provides a unique and fresh perspective on how to do a basic quantitative risk analysis, and covers key areas including: risk theory, risk calculation, scenario modeling, and communicating risk within the organization, Measuring and Managing Information Risk helps managers make better business decisions by understanding their organizational risk. Jones is one of the foremost authorities in the field of information risk. In addition to serving as EVP of R&D at RiskLens, Jones is Chairman of the FAIR Institute, an expert, non-profit organization led by information risk officers, CISOs and business executives to develop standard information risk management practices based on the Factor Analysis of Information Risk (FAIR). Jones holds the CRISC, CISM, CISA, and CISSP certifications and is on the ISACA CRISC Committee and the ISC2 Ethics Committee. He has worked in technology for thirty years and in risk management for 24 years. He has over nine years of experience as a CISO with three different companies, including five years at Nationwide Insurance. His work there was recognized in 2006 when he received the ISSA Excellence in the Field of Security Practices award at that year's RSA conference. In 2007, he was selected as a finalist for the Information Security Executive of the Year, Central United States, and in 2012 was honored with the CSO Compass award for leadership in risk management. Launched in 2014 by Palo Alto Networks Chief Security Officer Rick Howard, the Cybersecurity Canon aims to promote the continued education of cybersecurity professionals by providing a curated list of both fiction and non-fiction works that advance the discussion of modern industry issues. A Cybersecurity Canon advisory board of tenured researchers, industry professionals and journalists who have devoted their careers to the field of cybersecurity meets during the year to vote on new inclusions and future honorees. Nominees for the Canon awards are selected by the committee. Practitioners are also invited to vote for nominees as part of the selection process.